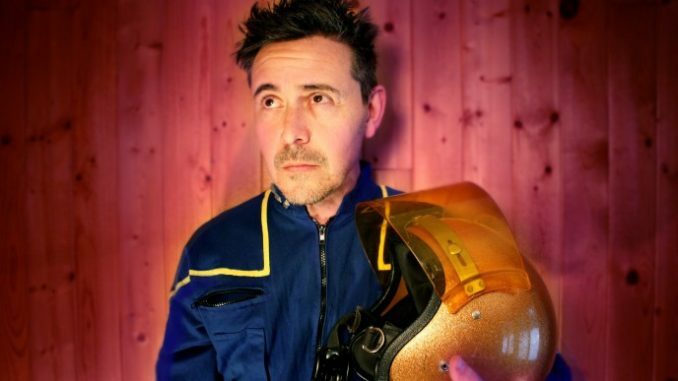 (May 2018) Singer songwriter and performer Danny Michel considers himself A.D.D. when it comes to his musical offerings. Find his records in the folk, pop, world and even classical sections of any playlist, and you’ll be drawn to the common thread that is the passion for what he’s doing. Nominated for 3 Junos, a Polaris Prize and recently named CFMA’s “Producer of the year” his music has captured the hearts of both industry and fan alike. With a penchant for philanthropy, he established the “Danny Michel Ocean Academy Fund” which raises money for a small school in Belize, his second home. Last year, Danny was invited to join “Generator Arctic” by Canadian Astronaut Chris Hadfield who assembled a small group of scientists, photographers, writers and musician to capture a unique perspective of the north. I caught up with him from the studio, while he was mixing his latest tunes back here on earth…. Mb: Hey Danny, how’s your day? Danny: Good, I’m in the studio recording. Mb: Everything going according to plan? Danny: It’s going great, ya. I’m working on a new record and it’s going better than any one I’ve ever done. It’s great! Mb: Learning lessons every time you make a new one? Mb: So what’s this record going to be about? Are you flying into outer-space to make it? Danny: (laughs) No, this one has no crazy theme like going to the Arctic, or anything like that. It’s a good old fashion Danny record from home. I moved up north and I’m living in the country. It’s been a great change and a nice head-space. Ya, I’m doing great. Mb: So having read your bio… what an interesting life you’re leading! Danny: (laughs) Ya, I guess. A lot of great wild things have happened in the past years. Mb: Changed the way you look at life? Danny: Ya, I worked with a group there called The Garifuna Collective and they’re like legends in that country, and a great producer there, who has produced all the music coming out of that country. I learned all about their culture and music and then we made a record and they came to Canada and we toured… It was just fantastic! I guess, over the years I’ve grown pretty… I don’t want to sound too negative, but I’m kinda over rock and roll, you know? (laughs) Of course I’m just joking, but I think there’s so much music in this world, I find we don’t really… people aren’t into other culture’s music as much as they probably would be if they knew how incredibly awesome it is. Mb: Part of maturing as a musician and giving up shooting for the stars? You’ve been able to craft a solid career for yourself, lead an interesting life and get to make the music you want to make without worrying whether it will sell a million records? Danny: Oh ya. I mean, I quit shooting for that target a decade ago. If I wanted to win Junos or be more successful in the industry I definitely wouldn’t be playing the kind of music I play. I would be writing different music completely. I’ve been in the music business long enough to know, it’s all smoke and mirrors, you know? Mb: And spending so much time in Belize must have made you rethink what was important and how people can be happy without all the trappings? Mb: You do! Do you have kids? Mb: So, you’re a free thinker! Thinking the big picture, rather than the microcosm of the family? Danny: (laughs) As far as human beings can possibly go. It was crazy. I was in this old cabin, that was basically the size of a motor-home bathroom, and hanging towels and bed sheets around me to make sound baffling.. it was a super cool adventure. Mb: And that record “Khlebnikov” is basically a symphony piece. Danny: I wrote the songs and recorded on the ship with just a guitar and then brought them back and added all the strings and brass. Mb: So very different than the Clave you were hearing in Belize. Mb: Well the question begs, what do your fans think when you make a leap like that? What happens to fans that discover you as a folk artist and then buy a Russian symphony CD? Danny: Ya, I think the Russian symphony scared a lot of people, but whatever. I’ll be back with a normal record to remind them. But I would like to think that my fans… I have fans that have been with me for years and years and many records, so I think that they are the kind of people that have the adventurous spirit and an open mind to music to follow me on my crazy adventures. If they don’t like one record as much as another one that’s fine. My favourite artists put out records that I love, and a few records I don’t like. I still follow them and still like them. It’s part of being a fan. Mb: It’s like Bowie releasing Low and it being panned and in the end becomes one of the most iconic recordings. Mb: Speaking of fan base, you’ve obviously built one up here in Peterborough, over the years. Danny: I love playing Peterborough. I’ve never had any gigantic shows there, but they’ve always been charming. They’ve always been great. I love Peterborough, I wish I could be there more. I’m looking forward to returning.